Everybody used to watch The Morecambe and Wise Show. When the masses settled down to watch Eric and Ernie, the masses were, for once, massively entertained. Morecambe and Wise is the essential biography of a much-loved comedy duo and the history of one of British television’s best-loved shows from the acclaimed author of Cary Grant: A Class Apart.Who could forget the sight of a high-kicking Angela Rippon, or of an agitated André Previn (Mr Preview according to Eric Morecambe) or of Glenda Jackson as Cleopatra wrestling with the words of Ernie Wise’s immortal scripts (‘All men are fools, and what makes them so is having beauty like what I have got!’). Eric and Ernie always treated their special guests like members of the audience and the members of the audience like special guests. This is not just a biography of Britain’s best-loved double-act, it is also the biography of one of British television’s best-loved shows. 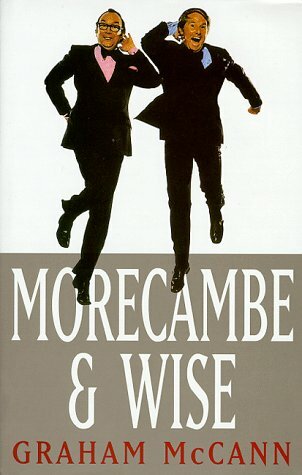 Morecambe and Wise worked together for more than forty years, honing skills drawn from the music-hall, variety, radio, cinema and television and then combining them to produce an award-winning show that became the jewel in the crown of BBC’s light entertainment output. Graham McCann’s meticulous biography includes previously unpublished material from the BBC archives, as well as innumerable insights gleaned from interviews with many of the people who knew and worked with Morecambe and Wise. Amusing, judicious and impeccably researched, this much-needed book extends and enhances our understanding of, and admiration for, two great entertainers who ended up as national treasures.